Sport is all around us from an early age. Toddlers are given balls to kick around or hit, and the sporty people among us tend to naturally gravitate towards the obvious sports that dominate the mainstream. Some sports, however, remain resolutely outside of the mainstream – but that should not lessen their appeal. Archery is one such sport, and there are a number of reasons why archery is such a terrific sport for kids to get into. From an early age we tend to give ourselves labels, with little room for grey areas. Our children are either sporty or not sporty. There’s no nuance. For those labelled ‘unsporty’, it is usually a tag that sticks. We can’t all be into the same things and there’s nothing wrong with not being particularly into sports – but it can be problematic, with inactivity and resultant obesity a growing problem. It (social media) was no kind of release at all, wasting time scrolling through things I wasn’t really interested in. I had deleted all my social media apps when a friend suggested I went with her to her local archery club, but I told her I had no interest in sport and haven’t done since I used to ‘forget’ my PE kit and find other extravagant ways of getting out of PE, which I found intimidating and absolutely hated. But I was talked into going along and I found archery was brilliant. I loved it straight away – it was just me, my bow, my arrow and a target. It emptied my mind completely and was such a great way to switch off – and not only switch off but immerse myself in something else. I quickly became addicted to the thrill of bettering my own personal bests and literally hitting targets. It’s a great sport – and this is from someone who would ordinarily claim to hate sport. It’s got me out of the rut I was in and enthused by something I would never have considered. Much of my anxiety and depression has lifted and I can honestly attribute a great deal of that to getting off my backside and into archery. Archery isn’t on everyone’s radar. We know that. It receives precious little mainstream coverage, despite growing hugely over the last decade. Other similar sports – such as clay pigeon shooting – are similarly on the fringes but offer the same sort of positive environment in which children can learn, compete and play sport… even if you / they think they’re supposed to be ‘not sporty’. 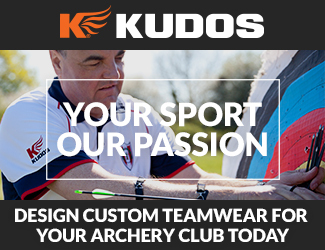 You can find your nearest archery club here. Give it a go – you may be surprised. Previous ArticleWhere Now For Grassroots Football? Next Article Become a Referee in Sport!